The UFC is kicking off 2016 in a big way, with one of the most exciting welterweight title fights imaginable between Robbie Lawler and Carlos Condit headlining UFC 195 on Jan. 2. 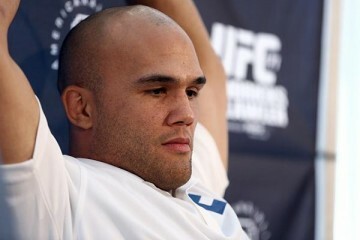 Fresh off a “Fight of the Year” performance over Rory MacDonald in July, Lawler is set to defend his UFC welterweight crown for the second time against a stiff test in Condit, who’s coming off an amazing performance in which he beat down Thiago Alves in Brazil. 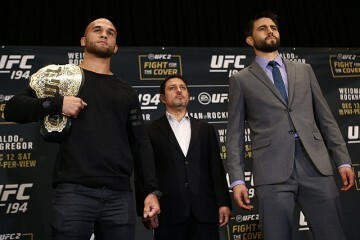 When it comes to guys that always bring the fight, you can’t do much better than Lawler and Condit. Fireworks seem inevitable when these two men meet in the cage. While the stakes are obviously at the highest during the main event, the co-headliner also features major title implications. Heavyweights Andrei Arlovski and Stipe Miocic look to stake a claim toward a title shot. After dropping a close decision to Junior dos Santos last year, Miocic came out firing with a dominant outing against Mark Hunt to earn him a top contender’s fight. The win will be hard to come by, though, as he faces a resurgent Arlovski, who has won six straight with half of those wins coming by knockout. Three exciting match-ups between up-and-coming fighters round out the main card. Lorenz Larkin takes on Albert Tumenov at lightweight, featherweight finisher Diego Brandao battles Brian Ortega and Abel Trujillo tries to get back on track at 155 pounds against Tony Sims. Throw in the returning Michael McDonald on the televised prelims and an awesome battle between Dustin Poirier and Joe Duffy slated for UFC Fight Pass, and this card has serious potential from start to finish. UFC 195 will kick off at 6:30 p.m. ET on UFC Fight Pass with three preliminary fights before heading over to Fox Sports 1 for the remainder of the prelims at 8 p.m. ET. The main card starts at 10 p.m. ET on pay-per-view and features the welterweight headliner and four more fights. Combat Press writers Sal DeRose and Vince Carey break down the card in the UFC 195 edition of Toe-to-Toe. Robbie Lawler has had some epic battles in his recent career resurgence and championship reign. Now he’s set to defend his title against Carlos Condit, who has had mixed results in marquee bouts over the last three or so years. Are fans in for another instant classic? DeRose: Another instant classic seems like a tall order. It’s really impossible to predict, too. Fights that were supposed to produce fireworks have fizzled out and disappointed before. If anybody is going to produce fireworks, though, it would be Lawler. Condit will definitely be a willing participant as well. This really does point to an epic showdown between two tough strikers. Condit has certainly had mixed results in his recent career performances, but the record doesn’t really tell the whole tale of the tape. The 31-year-old is 2-3 in his last five fights dating back three years. 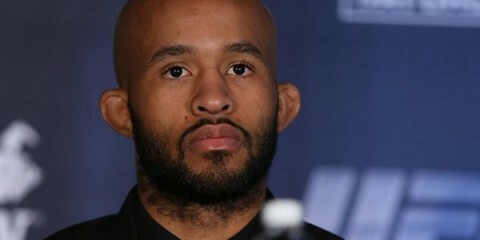 His three losses came against Tyron Woodley and former champions Georges St-Pierre and Johny Hendricks. You’re talking about the best of the welterweight division in recent times. The Hendricks fight was a 29-28 on all scorecards and Condit had St-Pierre on the ropes at one point in their fight after he knocked the longtime champion down with a head kick. So while Condit has seen a mixed bag of results, his performances have all been solid. Heck, his loss to Woodley was due to a knee injury he sustained in the fight. Lawler has been more consistent, with four straight victories since he lost to Hendricks in their first go for the welterweight title. The 33-year-old looked exactly how you’d expect him to look against Rory MacDonald. Lawler took a beating, but he dished it back out tenfold. He displayed the type of power striking we have come to expect in this resurgence, coupled with the sprinkle of a tenacious and exciting fight style. This is why this fight is a tough pick. While Condit has a much more diverse striking style that has led him to be one of the most feared strikers in 170-pound weight class, Lawler can take the beating to land the power shots that will make Condit back off. Condit will most likely be the more precise fighter, but Lawler is going to make it a brawl just like he did with MacDonald. It only serves to help Lawler. While, sure, Condit has had his share of bloody brawls and beat other power strikers, he hasn’t met anybody like Lawler yet. When in doubt, stick with the champion. Carey: I hate to predict an instant classic, but I see a lot of similarities between this fight and Lawler’s title scrap with MacDonald. 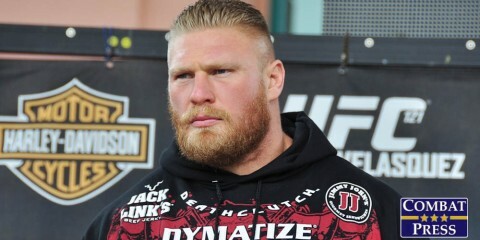 Since the MacDonald fight is a “Fight of the Year” frontrunner, that can only mean good things. I’m expecting at the very least a really fun title fight between two of the better strikers at 170 pounds. If this fight meets expectations, we’re looking at a “Fight of the Night” winner and maybe some award talk around this time next year, which is a lot to ask for, but should probably be expected with two of the UFC’s most exciting fighters squaring off. I’m actually more confident in predicting an awesome fight than I am in picking a winner. With this fight’s potential to be extremely similar to the Lawler-MacDonald bout from last July, it’s not hard to see why picking a victor is so difficult. You don’t win a “Fight of the Year” award unless you’re in a back-and-forth battle, and the UFC 189 co-main event was one of the best striking battles we’ve seen in a long time. That being said, there are a few differences between Condit and MacDonald that put the favor in the direction of the champion here. First and foremost, MacDonald’s jab is one of the biggest parts of his arsenal, and he used it pretty effectively to keep some distance against the brawling Lawler. Condit’s lead punch is no joke either, but he’s going to rely on leg kicks in order to keep the distance a little more than MacDonald did, and that might not work as well against someone as tough as Lawler. It’s not easy to walk through a solid kick and keep coming forward, but it’s definitely more difficult to push the pace when you keep getting hit in the face. Lawler walked through so many punches against MacDonald that it was jaw dropping. Condit definitely has more power than his Canadian counterpart, but he’s not likely to land quite as often if Lawler keeps charging forward. If Condit can’t knock out Lawler, then it’s going to be difficult to steal a decision unless he’s constantly on his bike. Lawler is so aggressive that it’s hard to stick and move against him. While many might point to Condit’s movement against Nick Diaz to win the interim belt a few years ago as the blueprint to take out Lawler, I’m not convinced Condit would get a win in the same situation against Lawler. Lawler hits too hard for Condit to keep out of harm for 25 minutes, and Lawler’s aggressive enough that he could steal the kind of rounds that Diaz struggled to win against Condit. Andrei Arlovski and Stipe Miocic meet in the co-headlining affair. The winner likely secures a date with the heavyweight champion, whether it be Fabricio Werdum or Cain Velasquez. So, who wins this fight and who is the best match-up — Werdum or Velasquez — for that winner? Carey: It’s crazy to think that MMA fans wrote off Arlovski over five years ago and he’s somehow battled back to this spot. At one point, “The Pitbull” had lost four in a row, including three losses by brutal knockout. Now, all of the sudden, he has battled back to win 10 of his last 12, including his current six-fight winning streak, and he is a win away from fighting for a UFC title that he lost almost a decade ago. Situations like this remind us that this sport is completely unpredictable, and this situation in particular is making it really hard to pick against “The Pitbull” as he goes for seven in a row. However, as good as Arlovski has been, he’s going to be able to get past Miocic without a little bit of luck, if only because the Ohio native has been equally awesome in his last few outings. Miocic put on one of the most brutal beatdowns we’ve seen in the last few years when he absolutely decimated Mark Hunt over the course of four and a half rounds in May. Before that, he went toe-to-toe with Junior dos Santos in an extremely memorable heavyweight slugfest where some thought the 33-year-old Miocic had done enough to pull off the upset. Arlovski and Miocic have fought quality opponents lately, but Miocic’s level of competition has been a little bit bit higher and he’s performed slightly better. I also trust Miocic’s chin to hold up better than Arlovski’s (even though the former champ definitely proved he can still take a punch in his war with Travis Browne). These are the main reasons why I’m picking Miocic to take this one home. I definitely don’t feel as confident as I’d like, though, because Arlovski has been shocking people left and right for the last few years. Even though Miocic will earn a title bout, I can’t say I’m convinced he’s going to be able to bring home gold. Whether it’s Werdum or Velasquez, both men have the ground game to make life extremely difficult for even a really competent grappler like Miocic. Things won’t get much easier on the feet for the Ohio native if he’s forced to worry about takedowns. There’s a chance Miocic could out-box either guy and try to win the belt that way, but even then it would likely have to come in the form of a really smart decision win. Miocic’s lacks the punching power to put a definitive end to either hypothetical contest. He obviously hits hard, but he doesn’t seem to have one-punch knockout power, which he’s going to need if he ends up competing for the belt. 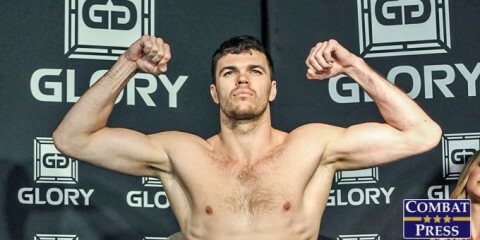 DeRose: We all wrote off Arlovski. The thing with Arlovski isn’t so much the total unpredictability of the sport, but it seems to be the trend with heavyweights that they get better with age. Look at Werdum, who, at 38 years old, just became champion over a guy many thought would be the long-reigning king of the heavyweights. At age 36, Arlovski is just another example of how this trend of the older crop of fighters dominating the highest weight class. To point to either of these guys as the best match-up against Werdum or Velasquez seems rather tough. Both guys are great heavyweights, but how do you pick against the first man to legitimately beat Fedor Emelianenko or pick against Velasquez, who decimated dos Santos twice and also topped Antonio “Bigfoot” Silva? The two men fighting for the title seem to be a step above everybody else. If I had to choose, though, I’d probably pick Miocic, who is slightly younger than Werdum and might be able to give Velasquez a tough fight. Velasquez and Werdum have some devastating skills on the ground, but they are also solid in the striking department — or, in Werdum’s case, becoming a more two-dimensional fighter and growing leaps in his striking. The idea of Miocic out-boxing Velasquez or Werdum seems like a stretch. Miocic has the best chance to out-box Werdum, but a sea-level Velasquez might be too tall of an order. However, Miocic does have solid boxing that will win him this fight against Arlovski. Over three rounds, Miocic should be extremely precise and pinpoint on his striking. He should tag Arlovski, but that doesn’t mean this will be a knockout victory in favor of Miocic. Instead, Miocic will take a decision. Former bantamweight title challenger Michael McDonald returns to the cage after a two-year hiatus to face off against Masanori Kanehara. At just 24 years old, “Mayday” obviously has a lot of fight left in him. However, after such a long layoff, where does McDonald fit in this new-look 135-pound division? DeRose: It’s pretty tough to actually rank a guy coming back after two years away from fighting. Last we saw McDonald, he was being subbed by Urijah Faber. There’s no shame in that, but the division has changed since then. Now, T.J. Dillashaw is the king, with the possibility of Dominick Cruz becoming the champ when all is said and done in their upcoming clash. Faber is right up there as a title contender, too, and Renan Barão — another loss on McDonald’s record — seemed to be a shell of his former self in his fights with Dillashaw. Also, there has been the entrance of two really good bantamweight prospects that are in the spot McDonald was in a few years ago. Thomas Almeida and Aljamain Sterling are two truly world-class up-and-comers, and they have already jumped the former title challenger who now resides in the eighth spot in the UFC rankings. Kanehara isn’t exactly a top-15 bantamweight, but he is the kind of fighter you would expect a top bantamweight to face after the layoff McDonald has had. The thing to keep an eye on in this fight will be if McDonald has fully recovered from the mess of injuries that have kept him out. Also, with two years on the shelf, will he be able to shake the rust off and dominate this fight the way we expect him to? At only age 24, McDonald surely does have a wealth of potential and time in front of him to make a run for the title. He has already made one challenge for the belt, and it would be surprising if he didn’t make another run considering he is somehow still ranked eighth after two years of inactivity. McDonald is a very well-rounded fighter for his age. In the last couple of years, it’s a safe bet to say he’s built upon his skills even more. Carey: I agree with Mr. DeRose. This is a very different bantamweight division than the one McDonald competed in a couple of years ago. It’s actually really interesting to look at McDonald’s resume before his hiatus, because a lot of the wins that seemed huge for “Mayday” at the time have lost a lot of their luster. 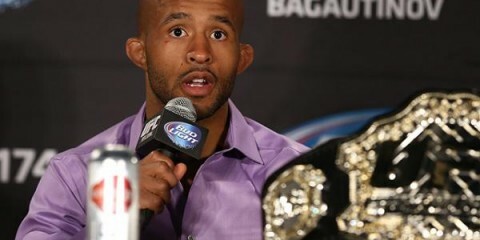 Finishes over Miguel Torres and Brad Pickett? They were a big deal a few years ago and brought McDonald a ton of hype, but when you look at what most of McDonald’s big opponents have done since then, it’s pretty underwhelming. 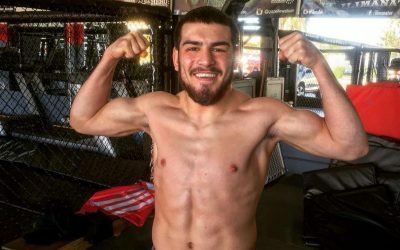 That’s not to say that I don’t think McDonald is still going to be a force in the bantamweight division, because if he was good enough to beat established guys like that at 22, I can’t wait to see what he brings to the table after a couple years of additional experience in the gym. Sure, it’s not Octagon experience, but that also means that McDonald didn’t spend a couple of his prime years getting in wars while his chin was at its best. It could easily end up looking like this layoff was a blessing in disguise if McDonald has the long and successful career many anticipate, and that all starts with putting on a good show against Kanehara. I fully expect McDonald to win this fight, but don’t hold your breath for a dominant performance. Two years away from the cage is an extremely long time and ring rust is bound to be an issue, so McDonald shouldn’t be faulted if he takes home a so-so decision here. It’s “Mayday’s” next bout that is going to be interesting. There are a ton of fresh match-ups for him as he attempts to climb the ladder again. I’d love to see McDonald taking on someone like Almeida or Sterling. As good and as young as those guys are, McDonald could easily be on the same level as a future star and title challenger. Dustin Poirier and Joseph Duffy once enjoyed the main event spot at UFC Fight Night 76. Now, the two men will headline the Fight Pass portion of the preliminary card. Is the UFC making the right move rescheduling one of its former main events to headline the Fight Pass portion of the prelims? Should this fight be on the main card? Does this help or hurt Poirier and Duffy? Carey: I’m really not sure what the UFC was thinking here. Does the organization think that the main event of the Fight Pass prelims for a pay-per-view holds the same weight as being the main event on an actual Fight Pass card? Is the UFC just trying to give Fight Pass subscribers the fight they paid for and Poirier and Duffy now have to suffer for it? Bout order is something that shouldn’t end up being a big deal, but the UFC constantly does strange things with its lineup and it’s becoming more and more of a problem. Look, no disrespect to Tony Sims and Abel Trujillo, but it’s impossible to make a case that their fight deserves a main-card spot over Duffy and Poirier. Honestly, there’s a strong case to be made that Michael McDonald and Masanori Kanehara deserve that spot over Sims-Trujillo as well, but the real losers here are Duffy and Poirier. The fight is probably the third most anticipated bout on the entire card, and the fact that it can’t even get a televised spot, let alone the main-card spot it deserves, is pretty ridiculous. I could probably rant on this for another two paragraphs, but I feel like my colleague has got a little frustration to take out on this topic as well. So I’ll just sum things up by saying Poirier and Duffy got screwed. It’s unfair, and since there’s almost no chance of a casual fan buying Fight Pass for that fight alone, it’s bad business too. DeRose: I don’t know if I have a little frustration over the move. I understand the one angle that the main event was on a Fight Pass card, and they’re headlining Fight Pass on a much better card. They would have made the same amount in Reebok money, as opposed to before the deal where they would have likely earned more sponsorship money as a headliner. The fans who watch the sport inside and out know just how good Duffy is. If Duffy were to beat Poirier, which would be a great win to add to his resumé, he would have five straight victories inside the UFC. Even if we take McGregor out of the equation, five straight wins in the lightweight division means Duffy isn’t that much further off from being a contender. And look at it from Poirier’s perspective as well. The 26-year-old Poirier has looked absolutely amazing at lightweight just two fights into his return to the weight class. If Poirier continues to fight the way he did against Yancy Medeiros or Carlos Diego Ferreira, it’s only a matter of time until he also gets a title shot. I won’t get all up in arms over the placement of this fight, because at the end of the day these are still two really good lightweights and one will stake his claim to a bump up in competition to make a run at the title. However, as my colleague suggested, there are fights above this one that could have slid down. This is one of the better fights on the card. It has a lot of implications in molding a division that is extremely deep and very interesting to watch unfold. DeRose: I’m going to go with Justine Kish and Nina Ansaroff based purely upon my expectations for Kish in the UFC. Kish was my pick as a sleeper to take home the inaugural strawweight crown on The Ultimate Fighter. She has high-level Muay Thai that makes her extremely dangerous and a very intriguing prospect to face champion Joanna Jędrzejczyk. We’ll see how this turns out. Carey: Even though it’s on the main card, a “Fight of the Night”-caliber match-up between Brian Ortega and Diego Brandao is being overlooked. Brandao is one of the best finishers we’ve seen in the UFC’s 145-pound division. He’s claimed four of his six UFC wins by first-round stoppage. When he’s on his game, he’s one of the most dangerous guys you can square off against in the opening moments of a fight. On the other side is Ortega, an undefeated prospect who, against Thiago Tavares, just proved that he’s more than willing to get into a war to pull off a victory. I’ve got a good feeling about Ortega’s chances to move up the featherweight ladder, and a big win over Brandao would help out tremendously. Carey: The college football season is nearly over, so pair your fight night with a few bowl games before you lose your football fix in a month. With Penn State vs. Georgia, Kansas State vs. Arkansas and a really fun Oregon vs. TCU match-up that takes place during the prelims, there should be more than enough football to occupy your day until the main card starts. Saturdays are at their best with football and fights, so take the last opportunity of the year while you can get it. DeRose: I probably won’t take my own advice here considering my Green Bay Packers try to clinch the division next week — and I’m holding my breath there — but I’m going to say to pair this card with some family and/or friends since New Year’s Eve is only a couple of days before the event. Enjoy the night out to ring in 2016 and then watch these fights, which should emphatically cap off what could possibly be a great year of fights. Just think, UFC 200, a possible CM Punk debut and a rematch between Holly Holm and Ronda Rousey — all in all, there is a lot of intrigue next year surrounding the UFC.